The price controls slapped on a number of foodstuffs are of limited value despite their popular rhetoric, given the low adherence of traders towards the administered prices and lax enforcement actions by authorities, a recent survey conducted in Colombo and a few of the suburbs, revealed. A significant variation between the controlled prices and retail prices has been spotted and out of 13 basic grocery items such as potatoes, dhal and onions—on which the price controls have been imposed—only milk powder is being consistently sold at the administered price. 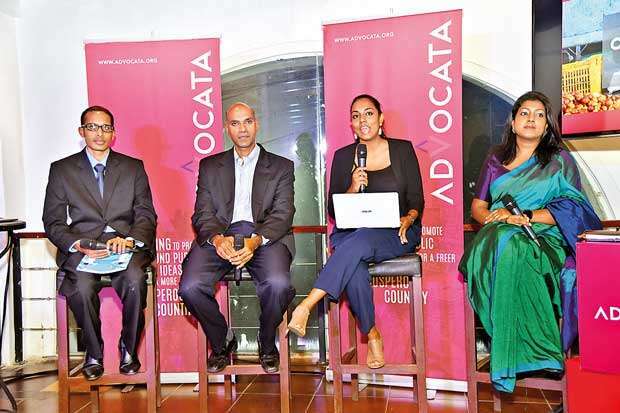 The limited survey was carried out by Advocata Institute—a Colombo-based think tank that promotes free trade—and boutique market research agency, Breakthrough Business Intelligence, for a period of 10 months. Based on the survey findings, Advocata this week put out a new report titled ‘Price Controls in Sri Lanka: Political Theatre’, which in essence argues that the price controls are futile and they have the nasty tendency to exacerbate problems than solving them. “Then why does the government do this? In short, for political expediency – to be seen to be doing something about the rising cost of living,” he noted. According to Ratnasabapathy, if the authorities really want to enforce the price controls, they should get each and every trader to display the list of controlled prices. This would enable the consumers to report on traders who do not adhere to the controlled prices to the enforcement authorities. However, the Consumer Affairs Authority (CAA), which is in charge of implementing the price controls, does not have such a list. The report pointed out that serious enforcement appears to be confined to consumer items produced by multinationals and large corporates, such as milk powder, cement, cooking gas, etc., which are easier to police. Interestingly, the survey found out that most of the traders in the informal sector, who are only subjected to token enforcement, are willing to pay an occasional fine for not adhering to the controlled prices, than selling goods at the administered prices. The report also shed light on the government’s absurd policy of heavily taxing the goods that are being subjected to price controls. “Taxes play a bigger role in market prices than the controlled prices; the moment the tax comes down, the prices start to come down,” Ratnasabapathy noted. Price controls can come in two flavours—a price ceiling, where the government sets a maximum price for a good and a price floor, where a minimum price is set, below which the prices are not allowed to fall. Although Sri Lanka was the first country in Asia to open up its economy, price controls and import restrictions, which were strictly imposed in early 1970s under Sirimavo Bandaranaike’s government, didn’t disappear fully. From time to time, politicians—both left and right leaning— were seen calling for price controls, mostly on food items, during times the cost of living was seen escalating. However, the price controls today are not causing any massive shortages of goods or surplus of goods in the market place—the two key outcomes of administered prices—as was the case in early 1970s, where people queued up to buy a loaf of bread or a clothing item. This aptly demonstrates that the present-day politicians are using price controls—at least on most of the foodstuffs—to win votes rather than reduce the cost of living. The unfortunate truth is that such meddling with the prices distorts the market and creates unintended consequences. “Prices are signals in an economy. They contain information for buyers and sellers and coordinate activities within an economy. The government can try and control the prices. But it cannot control the underlying fundamentals,” Ratnasabapathy said.